It’s a crazy time in sample land with loads of developers scrambling for your hard earned cash. 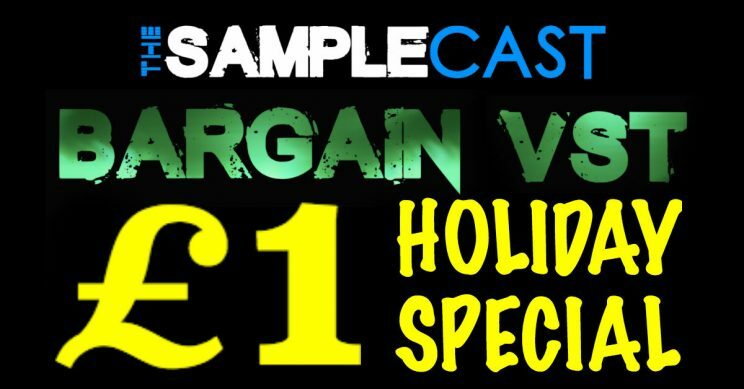 This week they are LITERALLY competing for the pound in your pocket as there’s a slew of fantastic £1 / €1 / $1 offers on synths, soundpacks and sample libraries. These are all personally recommended by me so don’t hesitate to pick them up whilst the devs are virtually giving them away! If you want updates like this every week in your inbox then subscribe to the Samplecast Newsletter. I’ll never spam you – promise. Air’s Vacuum Pro is a nifty synth for all types of productions. It excels at wobbly analogue tones, perfect for vintage tracks. However, you’ll also get lots of varied use from the 350 included presets. Four oscillators, multiple waveforms and smart randomisation options give lots of scope for tweaking too. Grabbing this synth will also make you eligible for 50% off the entire Air collection. Highlights here are The Riser and Loom synths. If that’s not enough synthy goodness then you can expand the presets with the Fresh Air Pack Vol 1. This adds 200 more patches for Air and includes pads, basses and all sorts of lead synth timbres. Horro r heads shouldn’t miss this 2.5GB collection of specially designed effects courtesy of Glitch Machines. Chimera includes over 200 high quality samples perfect for scoring thriller, mystery and other spooky genres. The sounds here are really varied and many are quite frankly on the demonic side. There’s just raw WAVs here to drag and drop into your DAW, so get creative. 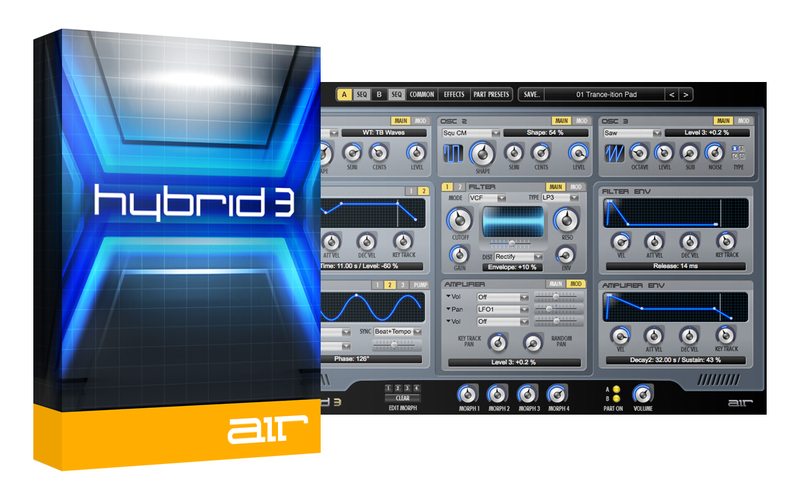 Over at VST Buzz they’ve got a sneaky deal on for Hybrid 3 for just 99 cents. The deal isn’t on their regular listings but I spotted it nevertheless. This 6 oscillator synth comes complete with 1200 presets, so that should keep you going for ages. If you want more then for 99 cents extra you can grab The Vault Expansion which adds 128 additional patches especially geared up for modern genres of pop, hip-hop and r&b. Just added to Plugin Boutique, this funky vintage delay plugin has 5 different types of valve emulation. It runs on Mac and PC in many different formats. Controls are reasonably simple and it has a warm and saturated character. 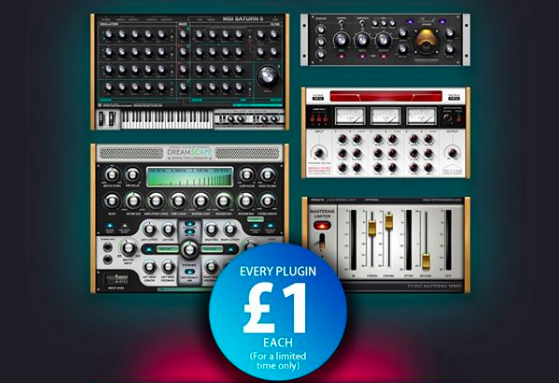 Personally I wouldn’t pay the full price of £36 for this plugin but for just £1 I’m not complaining. Full disclosure, I’ve not tried these plugins from Studio Toolz. There are 5 options here including a master limiter, channel strip, punch compressor, multiband compressor and reverb. On paper these do look spectacular but there’s a catch – they’re all 32 bit so you’ll need JBridge or suchlike to run them on 64 bit systems. If you pick them up then let me know what you think.